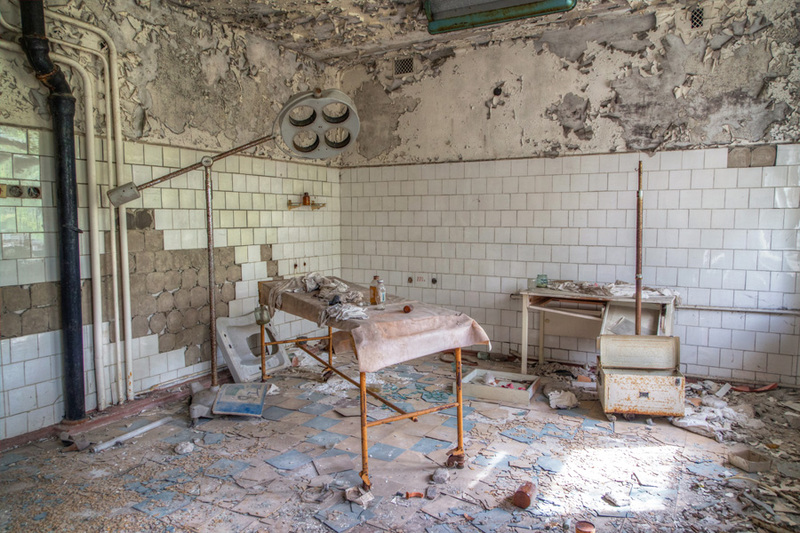 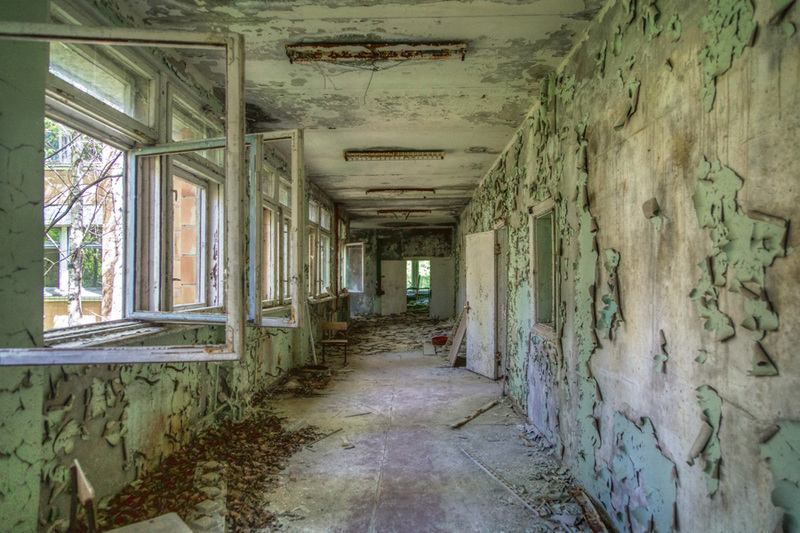 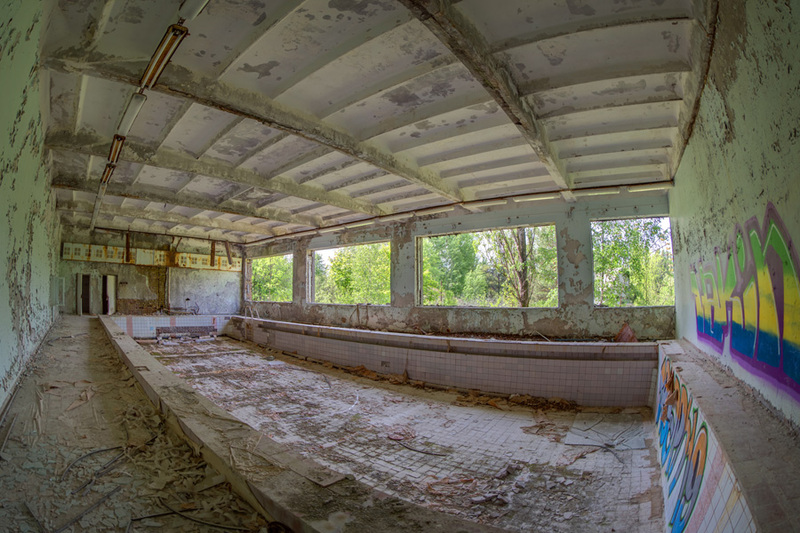 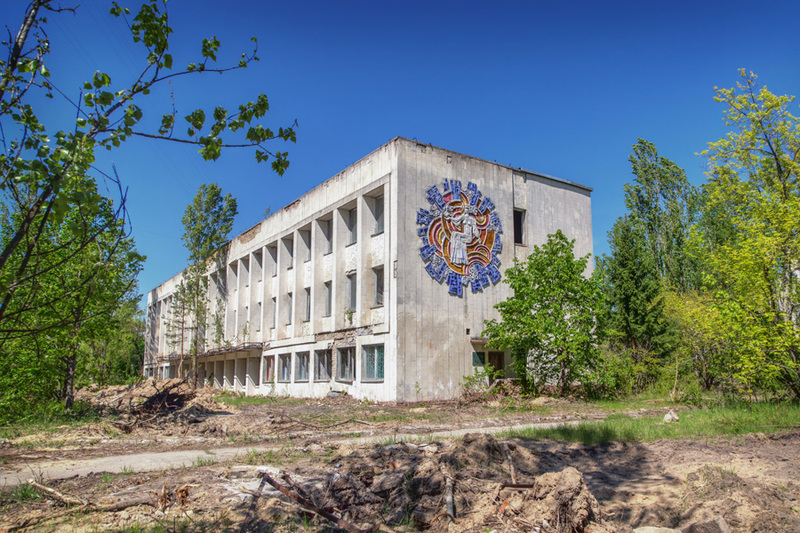 Though along the railroad tracks you will certainly find many abandoned villages, the largest population center within the Chornobyl Exclusion Zone is Pripyat. 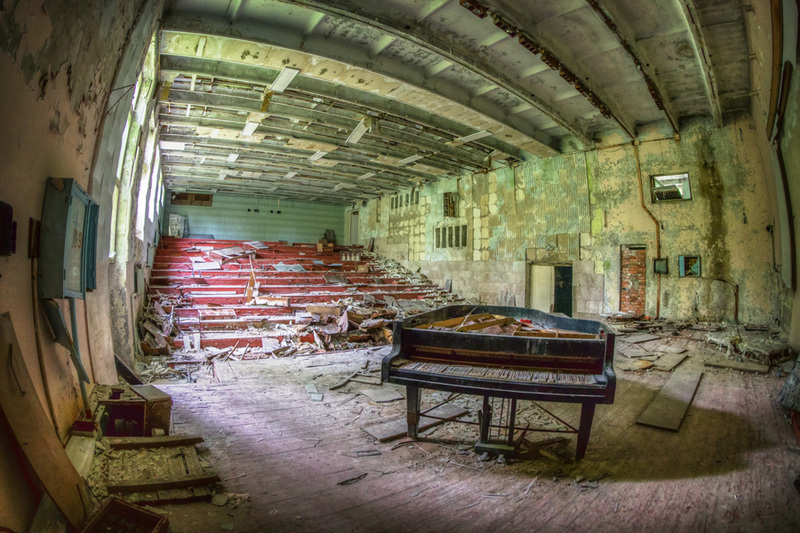 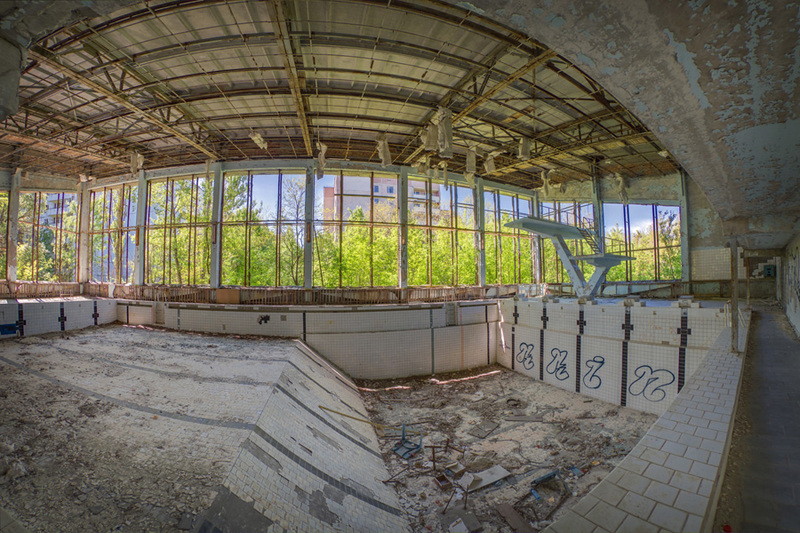 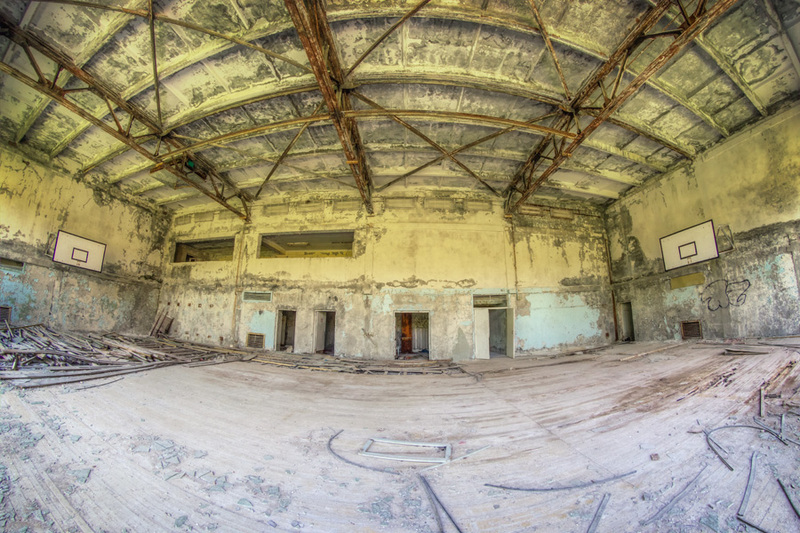 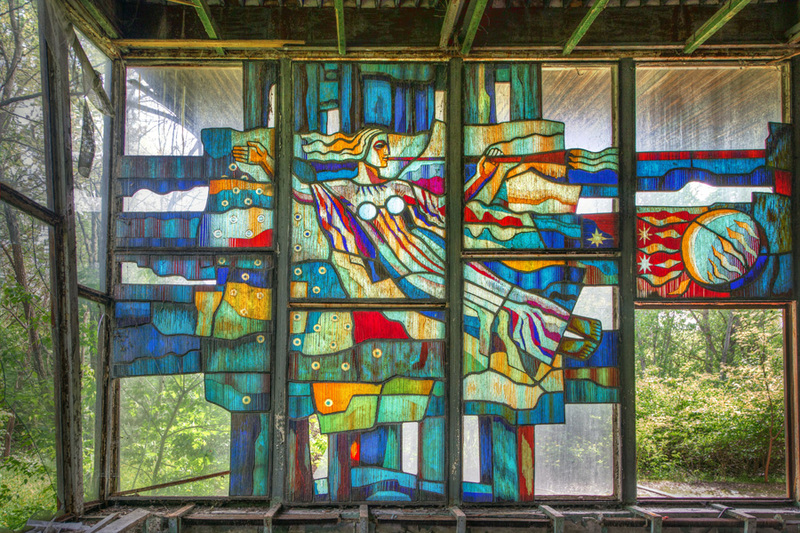 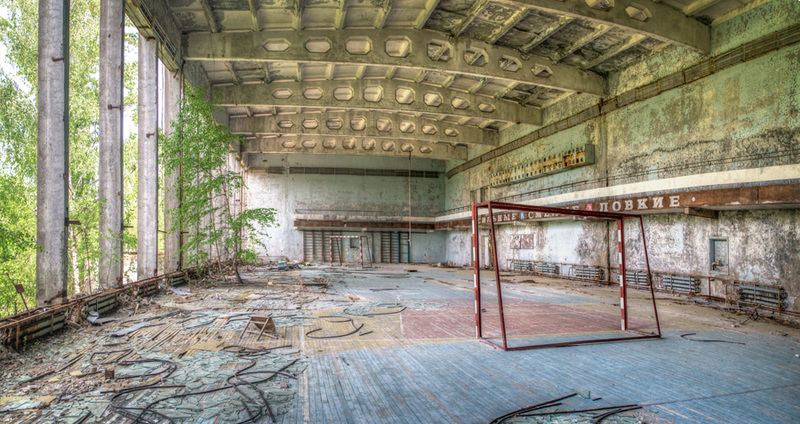 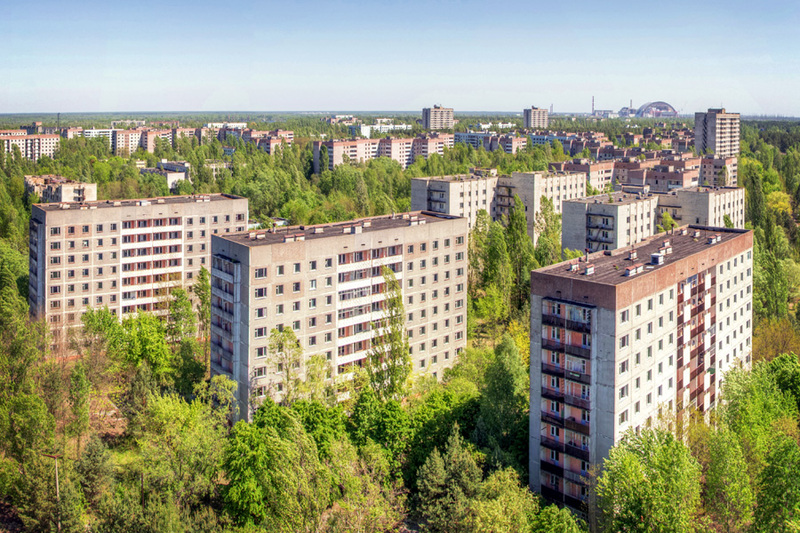 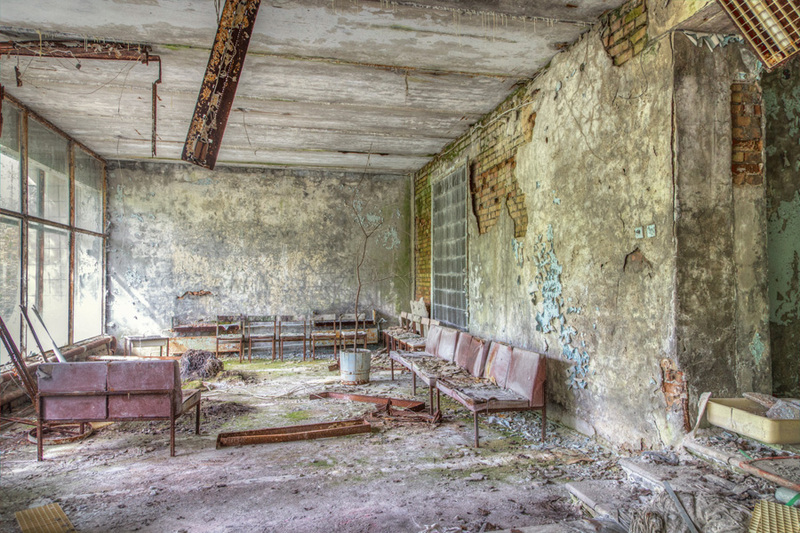 Built in 1970 as a home for the Chornobyl plant's workers, the city had a population of around 47,000 in 1986. 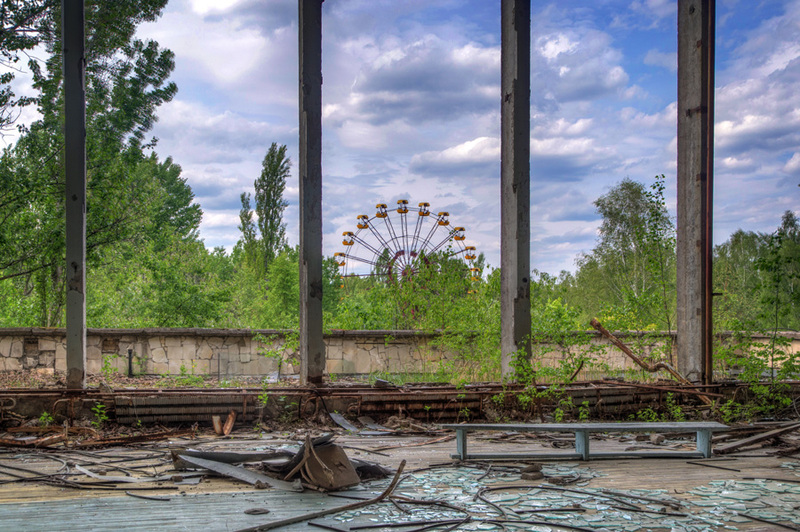 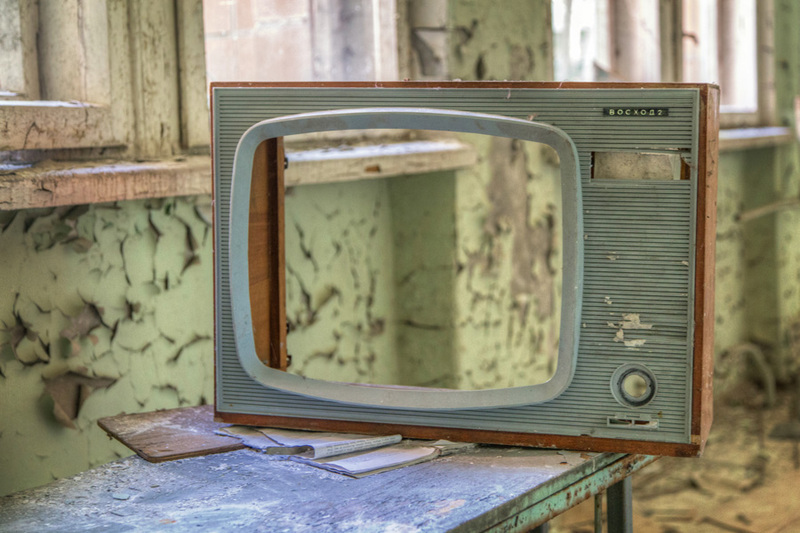 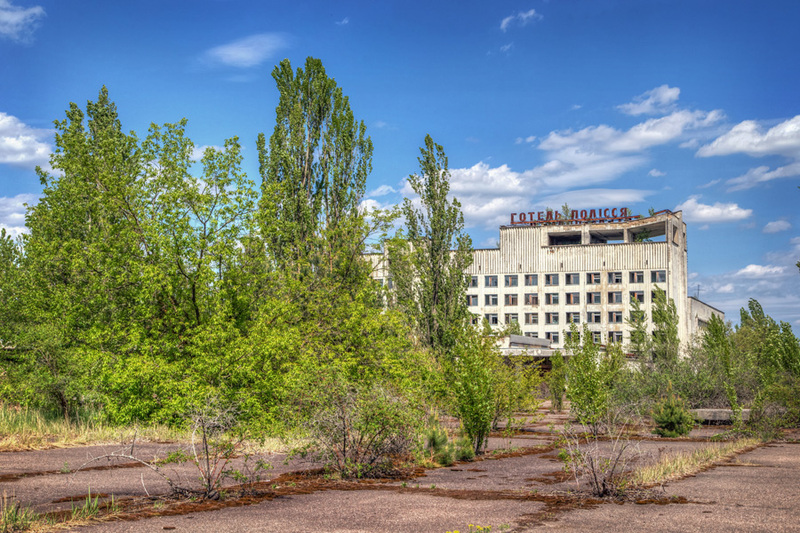 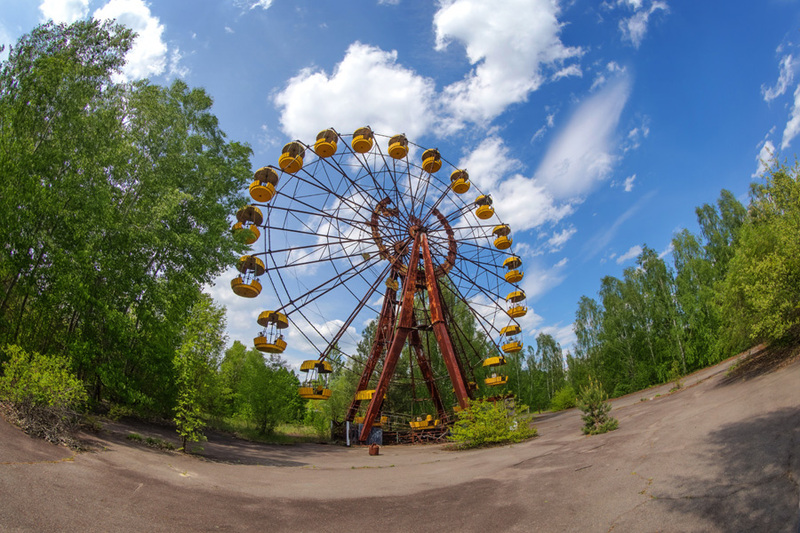 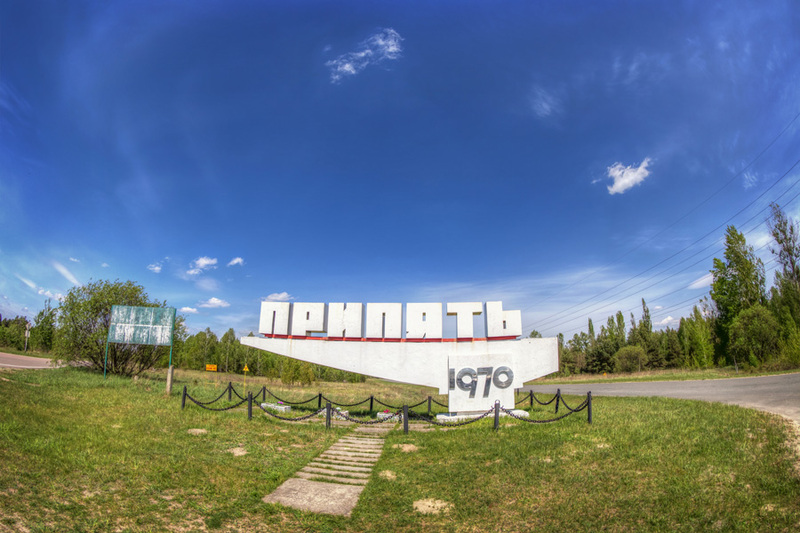 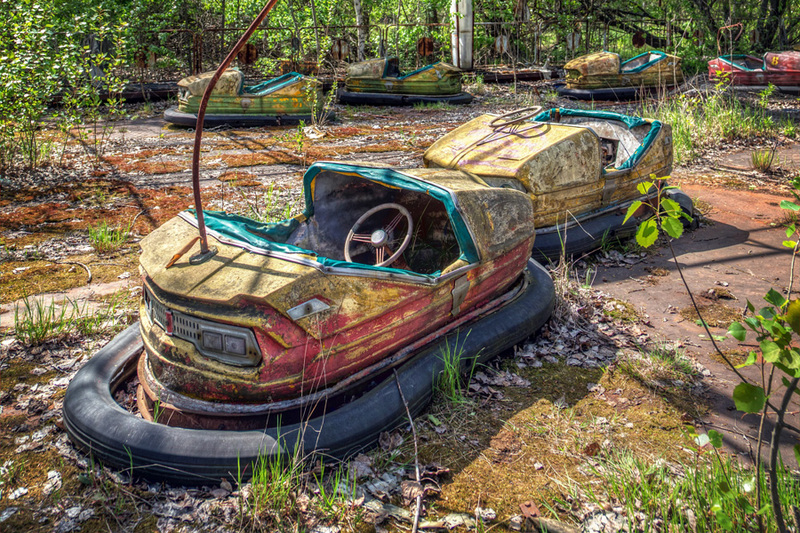 The entire population of Pripyat was evacuated on the 27th of April because of the Chornobyl disaster. 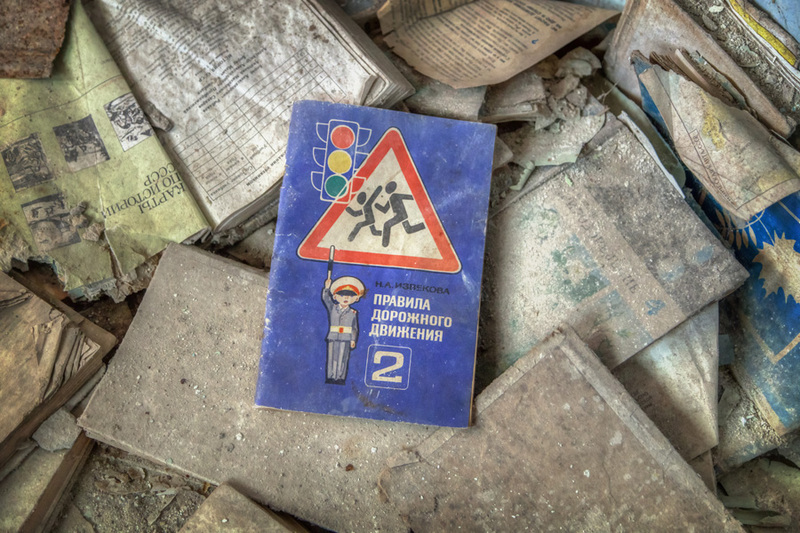 The city remains abandoned, and has been subjected to twenty-eight years of battering by both the environment and looters.